With recent incidents at WorldCom, Enron, Xerox, Tyco, and other companies, auditing has never been so important. Auditing is perhaps our single best defense in ensuring the integrity of our financial reporting system. 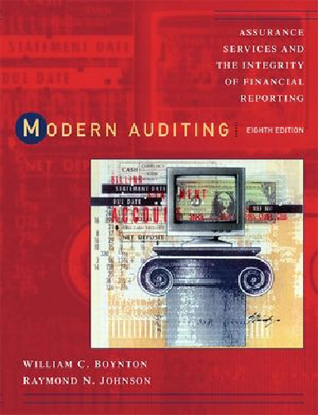 That’s why this new Eighth Edition of Boynton and Johnson’s Modern Auditing focuses on decision making and the critical role auditors play in providing assurance about the integrity of the financial reporting system. Known for its clear writing and accessibility, this text provides comprehensive and integrated coverage of current developments in the environment, standards, and methodology of audit.